With another baby on the way, though, I’ve been seriously evaluating her clothing situation, and have decided that an entire dresser filled to the brim with 3T clothing is maybe a little, teeny bit excessive. Ideally, I’d like Evelyn to share the dresser in question with her little brother or sister 50/50, so we needed to scale back on the amount of clothing she has. It was time to implement the capsule wardrobe. If you’ve never heard of a capsule wardrobe before, it’s basically a small, cohesive wardrobe where everything pairs well together, and usually consists of around 30 pieces of clothing. I’ve done them for myself before, and always loved having them. You can essentially throw on anything and know that it will all look good together, and if you do it right, you’ll feel fantastic in whatever outfit you put together, too! This capsule is by no means complete at 16 items for a toddler, but it’s a start, and I do already have a few items that I couldn’t find online that work with her new wardrobe, as well as some handmade pieces that I didn’t have a chance to take photos of. But, this lineup does give you an idea of what her wardrobe is looking like! 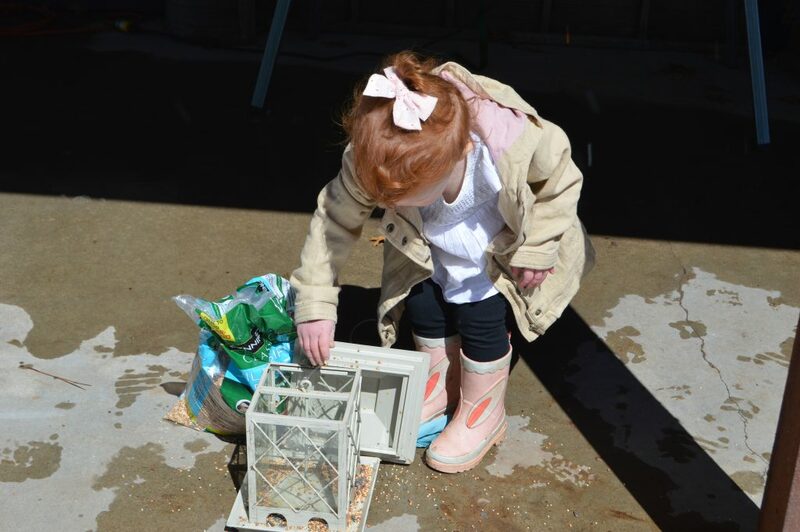 At least right now, Evelyn loves all things girly – she loves wearing jewelry, having her nails painted (both fingers and toes), and will play with my makeup brushes when I’m doing my makeup in the morning. Thankfully, at this point, she doesn’t care if she has a lot of options in terms of clothing, so I’m *hoping* that I can instill this idea of a minimal wardrobe as a good idea early on. 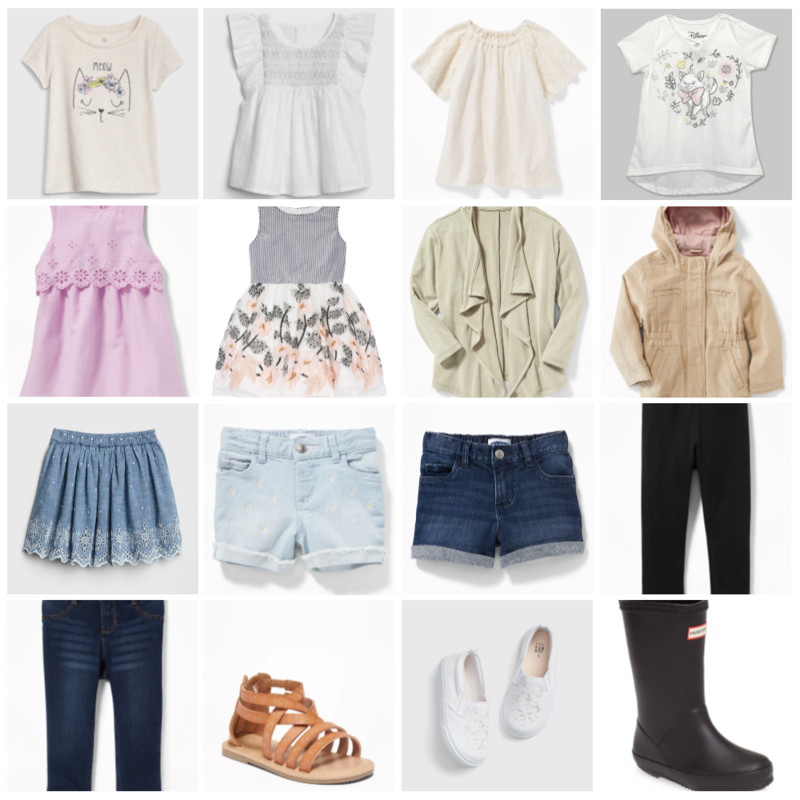 Plus, I think we’re getting close to the “I can dress myself” stage, and if everything looks cute together, it won’t matter if we have to go out in public! 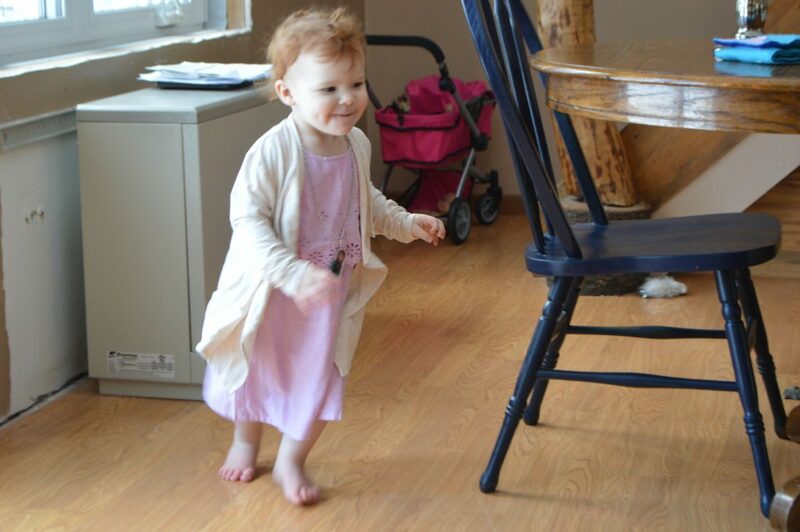 Most of the pieces I picked out for her capsule are from Target, Old Navy, and good ol’ Gap with the exception of her Easter Dress, which I picked up from Nordstrom. I’ve included the links to most of the pieces below.